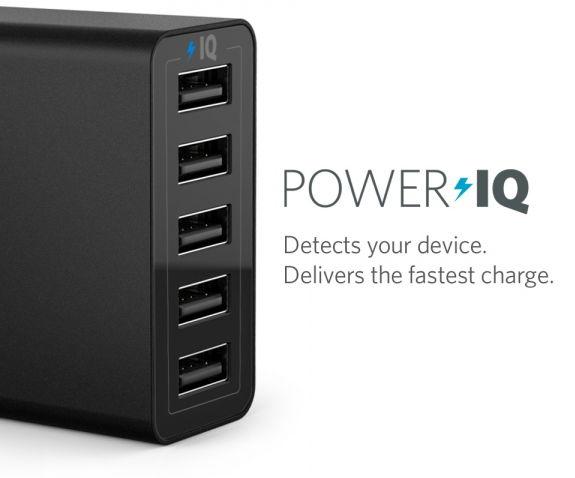 anker desktop charger ianker power iq Review Anker 5-port desktop charger - what's your opinion? Anker 5-port desktop charger - what's your opinion? I wasn't sure at first if this was the way to go, but with the number of devices that I have, it was the smart thing to do. I'm actually running out of outlets and this seems like the right choice. I could of went with many other options that are available out there, but at the time this was on special and I couldn't pass up the offer. I've decided to stick with +Anker Official as they've been good to me with all the products I've acquired from them. This brings me to talk about the Anker 5-port Desktop Charger. My initial interest in the device was the AMP per port on the device. Being that this feature POWER IQ, it means that the power distribution will be done equally on all ports depending on the devices you plug in. Score: 4.6 (9,241 Customer Reviews). That was enough to convince me to jump on the same bandwagon! I'm going to have to plug in 2 tablets, 2 smartphones, and see how this works out with the POWER IQ. What do you say Android Coliseum readers? Have you used this product before? What do you think? Comment below and let me know!